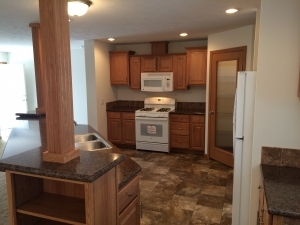 For over 50 years, Little Valley Homes has been offering the best value for home buyers in Michigan on new manufactured and modular homes. Little Valley Homes sells new and pre-owned, manufactured and modular homes for placement in a land-leased community or on your private site. Firmly believing in the affordability and value of factory-built home living, Little Valley Homes prides itself in being a full service company that can assist you from the concept through the entire building process, until your completion. Purchasing a home is often one of the biggest decisions you will make in your lifetime --- choose a company with a reputation for excellent service, high-quality products, and helping their customers find the home of their dreams. We will ensure that your home-buying experience is as affordable and stress-free as possible and your project is completed on time and within budget. From design to construction and installation, Little Valley Homes looks forward to assisting you in every step of the process! 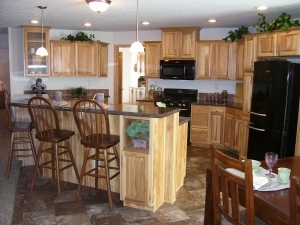 Little Valley Homes, Inc. is committed to providing homebuyers the very best home at the greatest value possible. During the home buying process, Little Valley Homes takes great care to answer any questions and provide homebuyers with the knowledge necessary to make the most important investment in life. It's what makes Little Valley Homes "Your Housing People." Whether you're interested in a ranch, 2-story, looking to down-size, or just starting out, Little Valley Homes can help. Little Valley Homes doesn't stop working when you purchase your home. 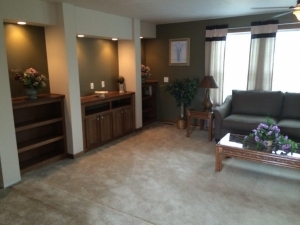 After you choose one of our premier modular or manufactured homes for your property or home site, our team works with you to ensure that your home is finished to the highest standards. We strive to offer our customers a complete service to ensure a stress-free process, and expert workmanship for a home that's built to last. 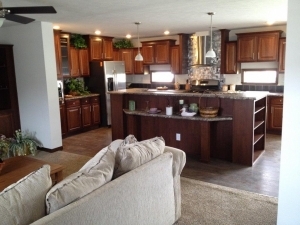 With over 50 years of experience working with modular and manufactured homes, we have extensive knowledge of the market. Our team will help you choose the perfect home for your budget, land and lifestyle. Our success comes from building long-lasting relationships with our customers and starts by setting them up in the perfect home. If assistance is needed, Little Valley Homes works with several financial institutions and insurance companies. When you purchase a home from Little Valley Homes, you get the added benefit of a full-time, dedicated construction coordinator that will oversee the building of your home's foundation. Our experienced construction coordinator is focused on one thing -- making sure your home's construction is built to the correct specifications and with expert workmanship. Read more about the construction process here. Little Valley Homes provides all of our customers with delivery and installation services to ensure the successful completion of your home building project. Delivery is usually the first time you get to see your new home - we invite you to take pictures and videos as your new home arrives at your home site! The installation of your home includes weather proofing, leveling of the home, and installation of shipped loose siding. Interior finishing work begins after utilities are installed and operational. Once the home is set and secured to the foundation the utility hook-ups are started (electric, water, sewer and gas). After all local inspections have been completed by the building department, a final inspection is scheduled to get a Certificate of Occupancy. That is the key element for you to be able to move in. It's Ready! Your Walk-Through Inspection is Next. It's to schedule a "Walk Through Inspection" with your Construction Coordinator. A room by room inspection, as outlined, in the Inspection Checklist is conducted. Any items needing further attention or warranty repairs are noted at this time. Along with receiving your keys, you will be instructed as to how everything in your home operates and given the Home Warranty paperwork that comes with your new Little Valley Home. Congratulations! You are now the proud owner of a NEW Little Valley Home! "It was just a positive experience all the way around. 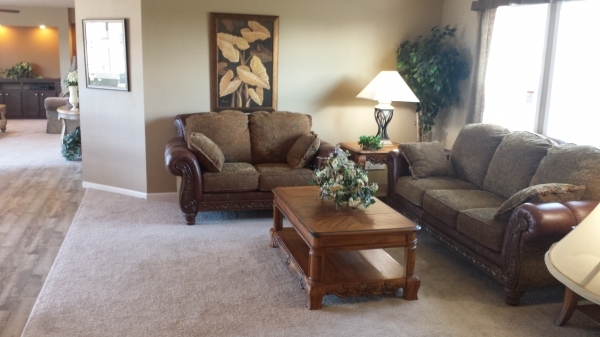 They got the home in for me in a reasonable time." Lesley R.